Inspired by the continuing evolution of the adventurous Type 7 series, the Type 7D and 7E have followed in the footsteps of the ultimate Type 7X – taking the off-road adventure theme into adventure reality. Designed and built to withstand the abuse of off-road riding and tested to their extremes, these new comers to the series have taken inspiration form the sculpted yet utilitarian Type 7X and simplified it. 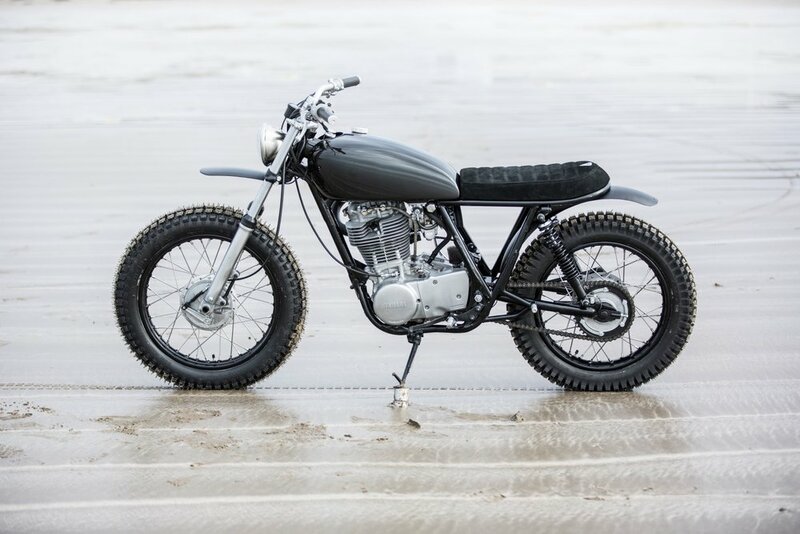 Taking Yamaha’s SR500’s as a base, these Type 7’s have been totally redesigned and created to the client’s specifications. The engines were rebuilt and refined, frames de-lugged and lightened with a custom rear loop modification for the seat unit. The tanks have been modified to remove the flanges and custom fuel fillers installed to simplify and refine their aesthetic. 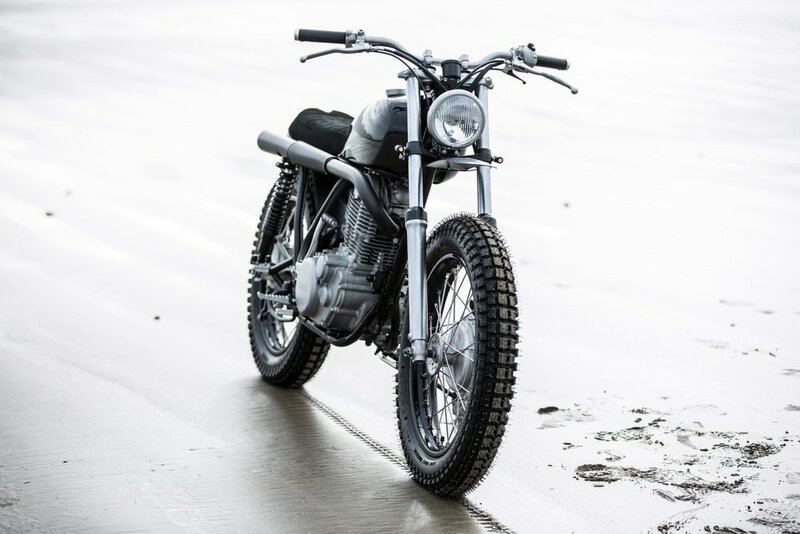 Like The 7X, the bikes have bespoke, handmade sand-bent exhausts, running up high so the bikes can wade through high rivers and greatly improve the ground clearance making this a real go-anywhere machine as well as a distinctive design feature. A heat guard and special black ceramic coating applied to the exhaust reduce the heat. 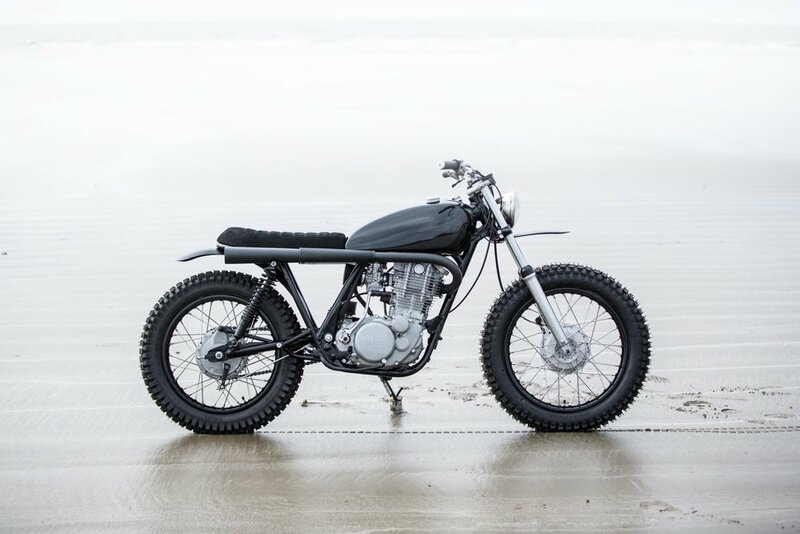 Rare and sought after parts from the SR500’s off-road cousin - the XT500 were sourced to both improve all terrain performance and add to the unique aesthetic. Trials tyres were chosen to allow the bike grip off road while reducing the aggression of full on knobbly tyres while on the road. Rental bars give perfect riding position and style and the suspension customised at the front with stiffer springs are balanced out at the rear with upgraded to Haigon’s shocks give it real handling and performance. Hand made aluminium mudguards protect the rider from the mud while completing the look. Makuni VM34 carbs were installed to improve air flow and add to performance while RAM air filters do the job of allowing the bike to breath even when riding in testing conditions. Finished in all black – a metallic black tank with black suede, hand stitched seat. Engines are aqua blasted and the bare aluminium treated to protect it from the elements.